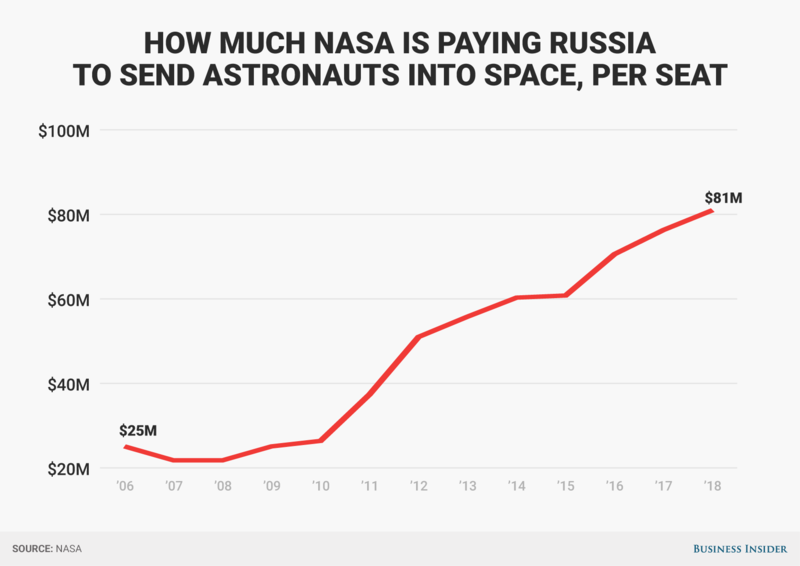 Seems like NASA has had a lot of multi-billion dollar overruns for a lot of stuff. Contractors who depend on the government seem to overrun the most and take longer to develop stuff. Boy, if we had to fight WWII again the way our government operates now, we would loose, just on the bureaucracy alone, not just cost. X-38/CRV was cancelled in 2002, some years before the Columbia accident, ESAS, and Orion. Cause was a multi-billion dollar cost overrun on ISS that NASA delivered to the Bush II White House at the beginning of its term. Why would they design it around ISS if they were just test flights for other missions? Orion was designed to service ISS until it no longer needed to be serviced. Orion was the only U.S. crew transportation vehicle at that time for 2011+, so what else would do it? It's a common misconception that the Shuttle was required for transporting expedition crews to the ISS once it was operational. That never was true. The Shuttle was only a secondary way of transporting crews to and from the ISS, but because the Shuttle could only stay in space for two weeks we have always relied on the Soyuz for getting crews to the ISS, and keeping them there. I know it's fun to think about what would be possible with unlimited money and time, but let's stick with reality - the Shuttle could not perform 6-month lifeboat duty for ISS personnel. Once the ISS was construction complete there was no more need for Shuttle flights to the ISS, so there was no real need to send the Orion to the ISS - the Soyuz was already handling normal crew rotation tasks. Flying the Orion to the ISS could have been an interesting test flight, but otherwise was not necessary. Whether or not Soyuz was required to keep ISS operational, the fact is that it didn't cost half a billion dollars a year for Russia to provide that capability when the U.S. had its own crew transport. Not sure what you are talking about, since when Griffin made his decision on Orion for the ISS we were only paying $25M per seat to the ISS. As a reminder, we historically spent $1.2B per Shuttle flight. So, how tenable our situation is vs. how tenable the situation was with Shuttle depends on what you think about tax dollars being used in that way. Up to the moment the Orion would have lifted off to the ISS, we would have been relying on Russia for transportation to the ISS. From what we know from the Augustine Commission, the Ares I would not have been ready in time to support the end of the ISS. And from what we know of the history of the Orion today it's highly unlikely that the Orion CEV would have been ready to support the end of the ISS. So considering all of that, $25M per seat looks like a bargain. Presumably, they should benefit Americans, not Russians. Back in 2005 our relations with Russia were pretty good, and we were happy to have them as partners. Remember they kept us in space after the Columbia accident, so let's remember history correctly. And the bill from Russia will easily be in the $4-5 billion range. Over about 18 years? Sounds like a bargain. And so, like I said before, if it really was about the money, other issues would be just as controversial if not more so than SLS. The money we paid to Russia resulted in actual services. The money we've spent on the SLS so far has only resulted in jobs, but nothing that has been needed by a customer. Yet. CRV was over $1B at cancellation. The capability for that cost never really made sense, especially in light of less complex and less costly alternatives, like Soyuz, a simple domestic capsule, or a lifeboat. No, the ISS Program still had/has Soyuz. CEV stands for Crew Exploration Vehicle, not ISS rescue or return vehicle. A domestic ISS capability was part and parcel of CEV, but that competition and subsequently Orion were never driven by ISS rescue or transport requirements. Lunar transport requirements largely enveloped ISS needs. NASA needs to walk away from owning/building/designing/whatever its own launch vehicles. The existing coalition of contractors (without NASA) should be allowed to 'bid' SLS/Orion/LC-39B and rest of GSE against any other launchers that the private sector cares to develop. NASA then simply buys services like COTS. That's the only change that will make a material difference in SLS costs. We also know that this is not going to happen anytime soon. Too many folks in US Congress depend on NASA having it's own launcher to develop and operate. Buying services doesn't "bring home the bacon" nor does it keep certain space-and-defense contractors well-padded. Those contractors could easily be well-padded with contracts to build payloads and on-orbit hardware instead of launch vehicles. Almost all of them make spacecraft or at least spacecraft subsystems. Exactly. X-38/CRV was another HSF project with dubious requirements and an unnecessarily complex technical approach facing a large overrun. At cancellation, X-38/CRV was costing almost $1.2B. By the time they fixed the test program, we were probably looking at $2B+. ISS in an _international_ program, not a US civil human space flight program. It's not an aberration to rely on a partner for certain capabilities. And practically speaking, NASA can't afford to do everything, at least not the way NASA usually does things. I agree. NASA should have had a simple domestic capsule or lifeboat from the get-go driven by limited requirements and built from proven technology. Instead, JSC adopted edge requirements, an unproven aeroshape, and new a terminal landing technique to occupy its workforce. NASA never needed an experimental vehicle or an internal field center development to procure something as straightforward as emergency crew return. Furthermore Soyuz has little pressurized up/downmass and no unpressurised upmass. This confuses emergency crew return with ISS cargo transport needs. Which is exactly my point. CRV cancellation had nothing to do with CEV. It didn't. I was the starting COTS program executive. The history goes back pre-Columbia but that's a different thread. What was that price per seat on Soyuz just after STS was retired, as in within days after Atlantis landed way back in July, 2011? I've seen $66 million quoted, but I remember Bolden attempting to dispel that number. I also remember that congressional "rule/law" stating that SLS was to be capable of ISS missions. A Shuttle launch every 3 weeks would have provided coverage for crew rotations. Just imagine one Orbiter Vehicle always docked with ISS with 2 being docked for a few hours/days. That cadence would have been amazing. 2 Shuttles on the pad, one for the planned mission, one for the LON mission. Shuttle one launches, STS-3xx/LON stays on Pad-loads its cargo/crew, redesignated to STS-??? then launches 3 weeks later. 15 launches/year was to be the manifest for 1986 before it all went down tubes. Thread about "manifested" 1986 STS missions. There was capability for dual concurrent Shuttle missions as this was a contingency plan for "One day weather wave off would have caused overlap. "-Jim of STS-61-F-Challenger 5/15/86 and landed on 5/19/86 and STS-61G-Atlantis to launch 5/20/86 and landed 5/24/86 after deploying Galileo. Galileo was launched using an Inertial Upper Stage(solid propellant-no LH2/LOx in the payload bay of the Shuttle) instead of the LH2/LOx powered Centaur as per safety changes following STS-51L on October 18, 1989-STS-34-Atlantis. 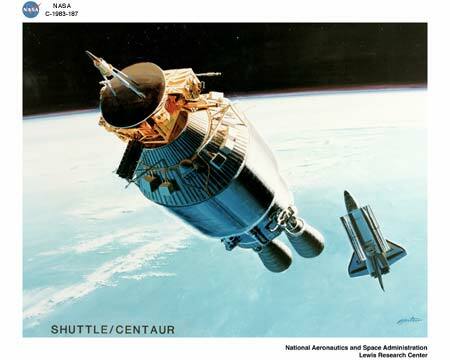 Both of these missions originally were planned for using the Centaur-G LH2 upper stages, as such IIRC both of these missions were 4 person crews, would have been launched using 109% RPL on the SSME's which during this time period were still the "Phase-I" SSMEs or RS-25, not RS-25-A, RS25-C or RS-25-D, but the RS-25 that had improvements made for usage at 104% RPL and for greater service life over the FMOF (first manned orbital flight) engines (ME-2005,ME-2006, ME-2007 which were used for STS-1 through STS-5(so the first 4 "test" missions and the Shuttle 1st "operational mission. Apparently there was initial questions about the Centaur-Shuttle missions and the ability for the orbiters to RTLS/ TAL/AOA due to landing weight in regards to the landing gear and the lack of safe methods of dumping the cryo propellants from the Orbiters payload bay. C'mon EM-1, my campsite at Jetty Park has been booked for Summer 2020. Pic#1 Endeavor/Atlantis at Pads 39-A AND LC-39-B concurrently. Yes. It's almost as if they *wanted* the alternatives to fail... Any human spaceflight vehicle alternative to Shuttle was a risk to Shuttle, and it was only the cancellation of Shuttle that finally led to Commercial Crew. And even then it has been a yearly battle of tooth and nail to keep the program funded at decent levels, as the Shuttle forces of the NASA industrial complex now have morphed into SLS. Yes, another low-ball HSF estimate. NASA's history since Apollo is replete with them. O'Keefe was not Administrator when CRV was cancelled. When the Bush II Administration came into office, NASA HSF handed the White House a $5 billion cost overrun on ISS. The decision was made at the White House, not NASA, to get the ISS budget under control. That meant two things. First, forcing George Abbey out of the JSC Center Director's chair. And second, defining an end to the ISS development -- "Core Complete" -- and terminating the elements after that, especially the more dubious ones, including CRV. NASA competes in the civil R&D portion of the federal budget. It's not a huge pie. For example, that $5 billion overrun on ISS alone is more (much more at the time) than the annual budget of the National Cancer Institute. No, it's not. Mir was largely a national development program. ISS was explicitly an international one. Orion on Ares-1 was to service ISS originally with crew of 7. Orion on Ares-V was for Lunar Missions with crew of 4. NASA never planned to launch Orion on Ares-V, aka CaLV (Cargo Launch Vehicle). The CxP architecture required Orion to launch on an Ares-I CLV (Crew Launch Vehicle). All CxP missions beyond LEO would have required at least two launches: one (or more) Ares-V launches for the EDS (Earth Departure Stage) and cargo (e.g. Altair), and one Ares-I launch with Orion and the crew. Also, Commercial Crew definitely replaced Orion to ISS for crew rotation. Regardless of when ISS would or would not have been splashed. development of a multi-purpose crew vehicle to be available as soon as practicable, and no later than for use with the Space Launch System. The vehicle shall continue to advance development of the human safety features, designs, and systems in the Orion project. (2) GOAL FOR OPERATIONAL CAPABILITY.—It shall be the goal to achieve full operational capability for the transportation vehicle developed pursuant to this subsection by not later than December 31, 2016. For purposes of meeting such goal, the Administrator may undertake a test of the transportation vehicle at the ISS before that date. I don't think the Shuttle fleet was capable of doing that safely and consistently. A suggestion would be to cross post this into Commercial Crew thread. Allright, who do I write a letter to if I want to if I want to get something about this program to change? Is it my congressman or my senator? This is not a joke post. I've been following this program since I was a young high schooler 7 years ago, and I've watched as the date slipped and slipped and slipped. I've followed on L2 and seen the updates and gotten hyped to watch this rocket fly, only to then see things start to go wrong. Now I'm seeing more and more problems that require more and more money to fix. If they had been addressed at the beginning (ML issues), or been given proper funding (ESM,Software?, also ML) wouldn't be a problem. This program is eating up a ridiculous amount of NASA's budget, and to me, doesn't seem to be accomplishing much other than providing jobs. Yes, maybe that's what congress wants, but I personally don't sit easy knowing that. I've always been a fan of SLS, but I swear, if this program keeps delaying it's going to turn me into a SpaceX fanboy. Both of your senators (each state gets two) and your congressman. What you're seeing today is the result of how the program was created, and how it was created was in a most unusual way. So yes, contact your congressional representatives, but quite honestly there is nothing that can be done about the SLS program as of today, since this was all essentially pre-determined when the SLS was created. I would suggest that you look into how large hardware programs are SUPPOSED to be proposed, developed and built, and then see how the SLS has differed from that. Maybe that will help you to understand why we're seeing what's going on today. And if you do your research right, you'll find that you have to go all the way back to 2005 in order to fully understand how we have ended up where we are. This thread is not the right one to be doing research (general discussion vs history), but there is a lot of discussions elsewhere on NSF that you could start with. Sorry for the delay. I just ran across this question. I try to avoid this thread these days. In my mind, the key is ultimately going to be the cost of propulsion, especially of the RS-25 core stage engines. They will have to build new engines at some point. Cost control will be paramount. I wish this work could be opened for truely competitive bidding. EUS and its engines will also be a key cost driver. The engines and other systems must be common with at least one other commercial stage or cost control will be impossible. But the real cost of SLS/Orion that needs to see some control is for Orion. That barter exchange for Service Module will shift to real money (Euros) in the future (there are only so many AJ-10s, and they don't make them anymore), and does anyone see evidence of cost-control as a consideration in the design of the CM? The RL-10s cost ~$19M each IIRC. So just the engines on the EUS cost more than a full Falcon 9 (with no reuse factored in), or potentially around the same price as a fully reused FH. That price needs to go doooown!